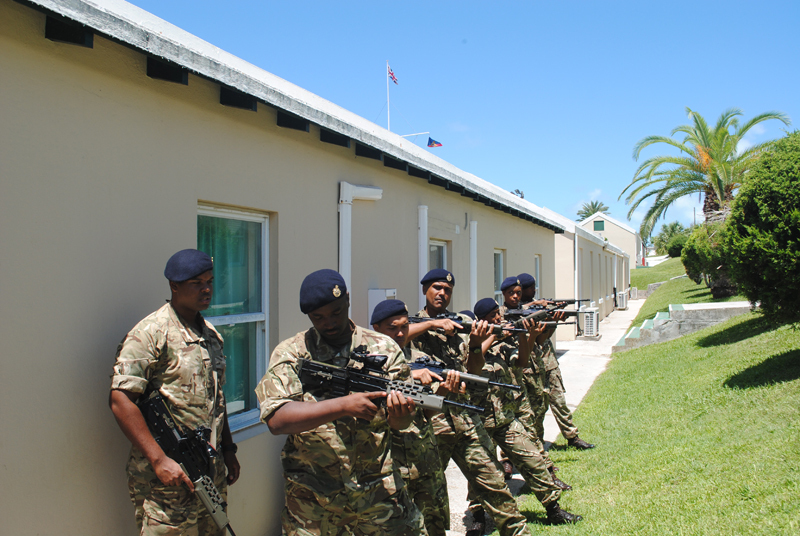 The island’s newest soldiers today [July 6] spent the day perfecting their drill and weapons safety. 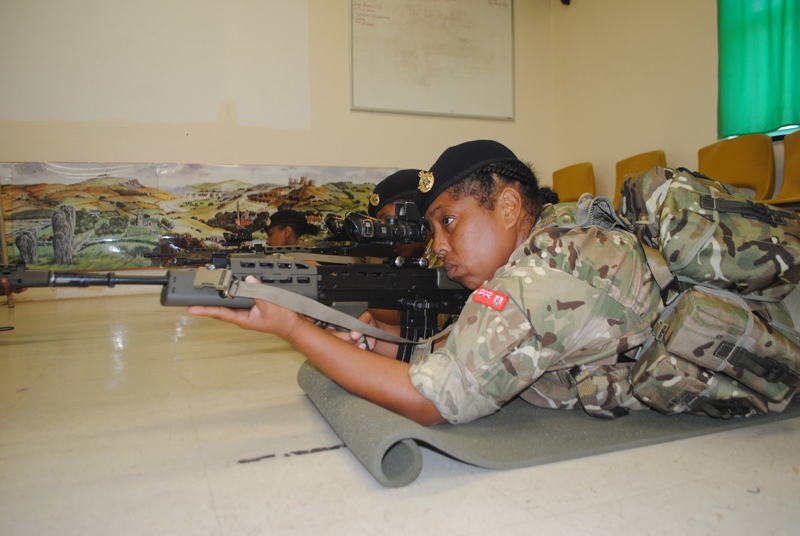 Recruits at the Royal Bermuda Regiment’s first summer Recruit Camp practiced their drill moves and worked with SA-80 rifles in preparation for their visit to the firing range next week. 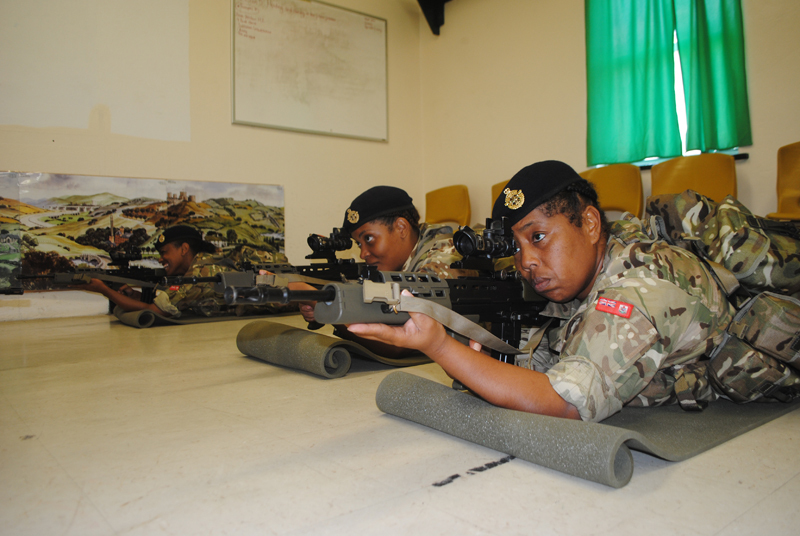 Pte Somersall was speaking as the 23 recruits approached the half-way mark of a new, streamlined approach to the traditional two weeks of basic training. 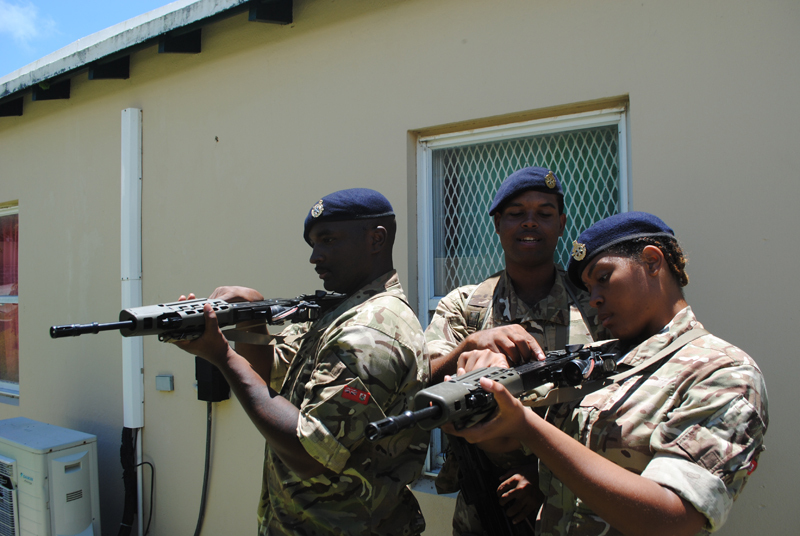 Section instructor Lance Corporal Jabari Hollis said he was pleased with his team’s progress. L/Cpl Hollis, 23, from Warwick, a former conscript who re-enlisted, said: “They’re catching on fast and they’re learning well. He added: “We’re assessing and auditing as we go and do continuing professional development by assessing our instructors. “The idea is, if it’s worth delivering, it’s worth making sure it’s correctly done and the recruits have undergone that transfer of learning. The recruits don’t see it happening, but we’re evaluating the delivery of all the training. 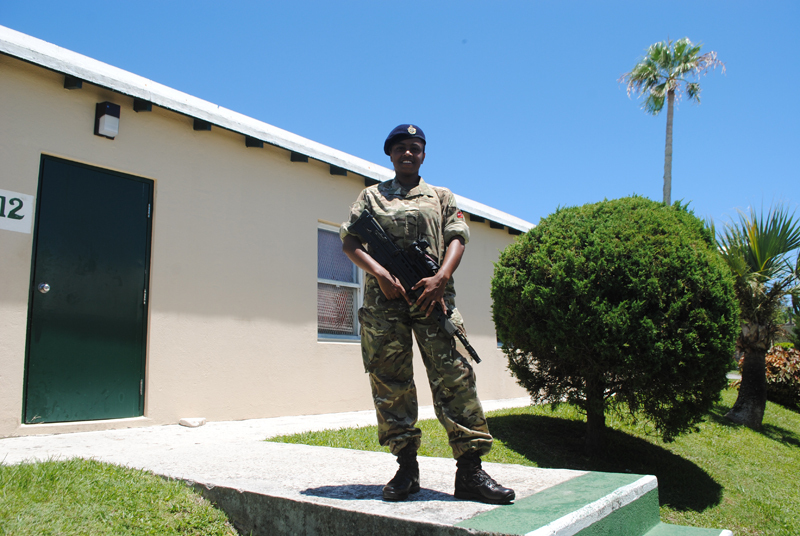 “We can identify areas where we can develop our instructors and we’re working to make sure the training they provide is as close to doing the actual job as possible.” Private Norman Sharp, originally from Kenya, said he had enjoyed Recruit Camp because it pushed him. The 40-year-old software engineer from Southampton added: “I like the drill – it’s really intense, but I like learning new things and that’s something I’ve never done.